AC Maintenance: It’s Already Time! Air Conditioning Maintenance: It’s Already Time! There are still some cold days ahead in March and even early April in Northern Virginia. March is a notoriously unpredictable period for the weather, and we’ve already swung between highs in the 70s and lows in the 30s so far this month—and it’s not even half over. But you can use this unpredictable time for some predictable planning, such as arranging for spring maintenance for your air conditioning system in Arlington, VA. 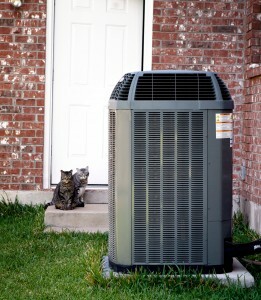 Maintenance isn’t an optional bonus for an AC—it’s a necessity to ensure the longest system life possible with the fewest repairs and the highest energy efficiency. It’s not something only we advocate: it’s a recommendation from the U.S. Department of Energy. You may wonder why you can’t handle air conditioning maintenance on your own. How hard can it be? The answer is “pretty hard,” unless you’re a trained HVAC professional. You can take care of a few steps yourself, such as a regular change of the air filter. (Most HVAC systems require a replacement filter put in every 1 to 3 months, depending on the amount of use and the filter type.) The rest of the work requires training and special equipment to handle. Examining all mechanical and electrical components to spot signs of wear that need correcting or any place where repairs will prevent a future malfunction. A check on the refrigerant level and pressure. A drop in either usually means refrigerant leaks, and an AC running on reduced refrigerant is in serious danger of a full breakdown. A thermostat check to see if the temperature sensing has become miscalibrated. Even a small miscalibration on the thermostat leads to poor AC performance. Cleaning of the evaporator and condenser coils if necessary. These coils collect dust over time, which restricts their ability to absorb and release heat. Amperage checks on the motors. The technician will see that the blower and compressor motors are working in optimal shape. Condensate pan and drain cleaning. This is where an AC drains out condensate that collects on the evaporator coil, and regular cleaning prevents overflow problems that will lead to the system shutting off. These are only the broad strokes of the complete maintenance process. Your technicians will follow a step-by-step checklist, but also make changes depending upon anything they discover. If the technicians find issues that require repairs, you’ll know about them and have time to arrange for the service. Never Delay with AC Maintenance—The Heat Is Almost Here! Regular air conditioning maintenance isn’t something to put off until the heat of summer comes crashing down on Northern Virginia. The sooner you have this checked off your “to-do” list, the better it will be for your home comfort and peace of mind. Talk to our HVAC professionals today to arrange for your AC’s spring check-up and inspection. Oasis Heating, A/C & Refrigeration is a family-owned and operated business serving all of Northern Virginia since 1998.